Wayne and I've been going to roller derby games at home in Powell River. The Pow! Town Roller Derby is only a few old, but they now have a really nice dedicated venue for their team practices and meets. When Wayne and I were having breakfast at The Keystone Cafe in Eugene, Oregon, we noticed a table of women wearing Auld Reekie Roller Girls shirts. Wayne was curious and Googled to see if there was a game in town. To our surprise, there wasn't just one game but a huge tournament with teams from around the world skating simultaneously on three separate tracks. The Emerald City Roller Derby team from Eugene has hosted The Big O tournament for the last five years. What luck for us. Emerald City vs. Chicago's Windy City team. By the way, the Auld Reekie team came all the way from Edinburgh, Scotland, to compete. Roller derby is now skated on a flat track. Larger teams belong to the Women's Flat Track Derby Association. Roller derby started in the 1930s on a banked track and became a spectacle sport much like wresting. 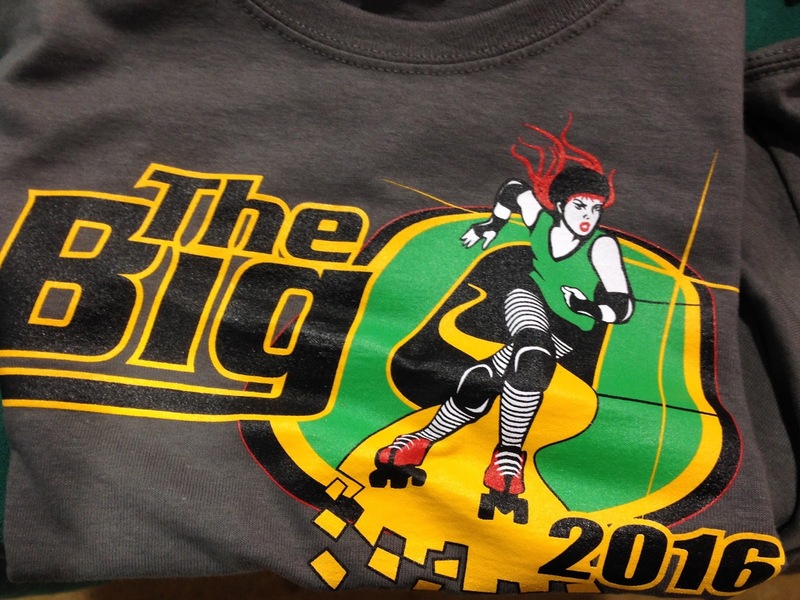 In the early 2000s, flat track roller derby took over and spread rapidly around the world. Its popularity is related to the minimal track and equipment needs. And besides, its lots of fun. The women are true athletes, but have carried forward the tradition to pick nicknames to match their personalities such as: Miss Kittie La Rue, Psychotic Rage, and Spunkee Bruizer. Even the referees get into the act. Check out the Umpire Strikes Back. I remember watching roller derby on TV back in the day when I was a kid! I didn't even know it was still done! Sounds like a lot of fun - you do go to the most interesting places.